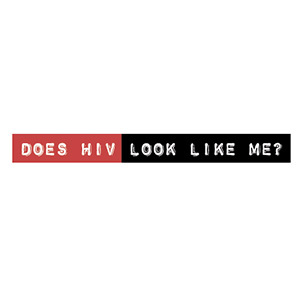 Creator of Emmy Award Winning ‘Does HIV Look Like Me?’ Campaign Chairs Renowned Committee at aids2031 Young Leaders Summit in Oslo, Norway. Los Angeles, CA – June 18, 2009 – – Todd Murray, Executive Director of the internationally applauded Hope’s Voice International, a 501 (c) 3 NGO created to promote the education and prevention of HIV and AIDS to young adults, which also aims to empower HIV positive youth to be leaders in educating their communities to be catalysts for change around the globe, is proud to be named Chair of the Communications Committee for the aids2031 Young Leaders Summit in Oslo, Norway, June 23rd – 25th, 2009. Mr. Murray is respected worldwide for his visionary approach in working towards the eradication of the many stigma’s surrounding young people living with HIV by his Emmy Award Winning creation of the ‘Does HIV Look Like Me?’ campaign, which is deeply entrenched in schools around the globe including the US, Mexico, South Africa, Swaziland and is soon to launch in Brazil and Thailand. Mr. Murray and Hope’s Voice International are honored to be hosted by the Royal Family and to work alongside HRH Crown Princess Mette – Marit. 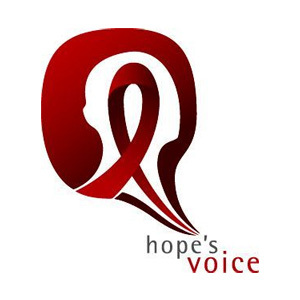 The opportunity to collaborate with other leaders widely respected for their work in the fight against the stigma’s surrounding HIV during the important aids2031 event delivers an important spotlight to the vital global work of Hope’s Voice International. Mr. Murray will be featured in an interview alongside HRH Crown Princess Mette – Marit from the Royal Palace on the Norwegian Broadcasting Company/NRK1 airing on June 20th, and is a featured speaker at the following events: The Stenersen Museum on June 20th following the Oslo opening of the Global Fund to Fight AIDS, TB and Malaria’s Access to Life photography exhibit, at the aids2031 international press conference on June 22nd and will be appearing live at the aids2031 Norway press conference on June 23rd. Todd Murray is the Executive Director and co-founder of Hope’s Voice International. After being diagnosed with HIV at the age of 20, Mr. Murray decided to take an active role in the world of HIV and AIDS because of his own experiences of living with HIV and the challenges he faced to be and stay positive despite the societal stigma. Mr. Murray motivates young adults to get out and make a social change in their community and in the world. His valuable experience and involvement in the forefront of social change for young adults living with HIV and AIDS is inspiring and empowering to anyone facing the disease and the challenges one faces in living with it. He works with professionals and young adults alike and leaves his audiences with the lasting impression that one person truly does make a difference.